We will keep you advised of all significant developments in your case. Families suffer emotional and financial trauma in wrongful death cases. Each year, more than 100,000 people are killed because of someone else’s negligence. Victims of wrongful death pay the ultimate price, but their families often suffer psychic and financial injury when a loved one is lost. As a family-owned law firm, we understand that losing a loved one is one of the most difficult things a person can go through. If your loved one’s death was caused by another’s carelessness, then you deserve compensation. Our attorneys will treat you with respect and compassion while fighting for your rights. 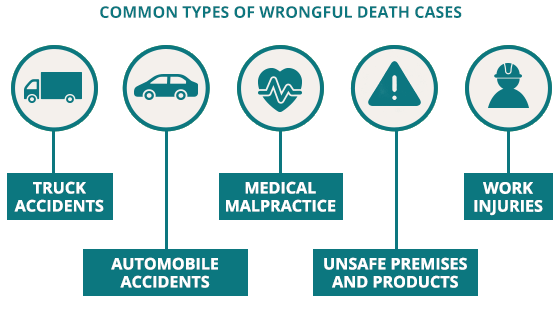 The depth of experience that our law firm offers means we can handle even the most complicated wrongful death cases, such as those involving death caused by medical malpractice. In recent years, studies have shown that medical mistakes are a much greater problem than was previously thought. According to a recent study in the Journal of Patient Safety, between 210,000 and 440,000 patients die each year at least in part because of preventable medical errors. This makes medical mistakes the third leading cause of death in the United States, behind only heart disease and cancer. We have decades of experience handling wrongful death lawsuits, so we are confident that we can obtain the best possible outcome in your case. When we say we will be there for you, we mean it. An experienced lawyer will handle your case. When you call us for a consultation, you will speak directly to an attorney, usually one of the firm’s principals. We believe that you should be able to talk to a decision-maker at the firm, not a case screener. An attorney will analyze your situation and advise you of your rights. Don’t delay getting your free legal consultation; if you fail to pursue your claim in time, your case could be lost forever.